I wait intently as the board members rearrange themselves in their seats and look up expectantly. Silence. I wasn't going to let it be that easy. I repeat myself and pause again. This time a few tentative answers flutter up to the podium. hospice...comfort care...end of life...giving up? Now this is something I can work with. I clear my throat and smile broadly. Palliative care is a philosophy. I can't help but launch into a series of idioms. I talk of the difference between the forest and the trees. I invoke Osler's famous quote about how the great (palliative) physician treats the patient and not the disease. We talk of the sanctity of quality versus the expediency of quantity. I can see heads shaking in agreement now. The ideas are starting to sink in. I mention patient-centeredness and I can feel the the room stir. I talk of dignity. The goal is to face illness with the same dignity that we attempt to face health. The participants inhale and exhale with each word. Palliative care is a skill set. 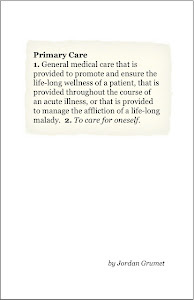 Palliative care is a consultative service just as a cardiology or nephrology. Board certified physicians in hospice and palliative care treat pain, nausea, anxiety, as well as a host of other symptoms. We also are skilled in advance disease planning. Counseling on end of life, and not so end of life care. Helping guide the decisions about code status and hospitalization, and timing and duration of care. Palliative care is a team sport. Nurses, social workers, chaplains, therapists, volunteers, and nursing assistants. Relieving pain and suffering is complex and multifaceted. It is not only a physician's domain. Each skills set brings it's own version of comfort to the suffering. But mistake me not, we all speak the same language. It is neither medicine nor religion. It's compassion. Palliative care is not hospice. In fact hospice is a small part of palliative care. If palliative care were a bus, hospice would be a few rows of seats in the front (or back). It is concomitant care of chronically ill patients coordinated with other specialties. One can continue any treatment they wish. Chemotherapy, surgery, hospitalization. And it is not a substitute for hospice. Hospice is a medicare benefit appropriate for up to the last six months of life for those who wish to discontinue curative treatments. It brings with it a host of services not otherwise covered by general palliative care. It is something you, your family, and your institution need to know about. 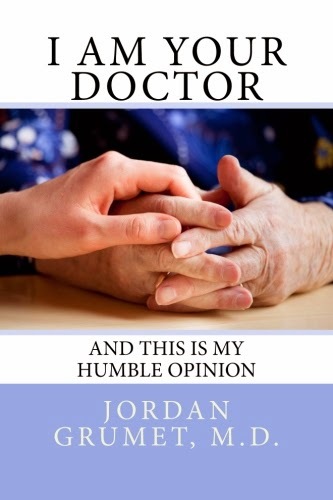 As a wife of a dying patient, palliative care -- what it is and why it is being offered -- is also something that ought to be discussed openly with the patient and their family. Sadly, for my husband of 35 years and me, this was not the case at any time during the 3-1/2 months Bill was treated for Stage 4 lung cancer before he succumbed to the disease. Bill's physicians were all lovely, caring people -- the palliative care physician, the oncologist, the attending docs on the cancer floor of the hospital -- and yet they never(!) once discussed dying with us. These discussions were couched in phrases like, "Your husband is not strong enough for chemotherapy so our goal is to make him comfortable." or "If you decide to take your husband home (which I did), you will be able to use a hospice service to help you care for him." The words "dying" or "death" were never uttered in our presence by a clinician. Any clinician. Not once. Bill and I were forced to discussed his and our future by ourselves without the benefit of compassionate, skilled professionals who (supposedly) could guide us through the most difficult period of our lives. I don't know if my husband was able to completely understand or forgive this silence. The metastases to his brain impaired his ability to think much of the time. I however, have no such challenge and I'm not sure I will ever be able to forgive and forget. I am a seasoned, credentialed coach who is a lifelong student of human development and learning; I continue to ponder how to respond to my sense of abandonment. Perhaps my grief is still too raw. (It's been only 10 months>) At the same time, I cannot comprehend how clinicians in specialties where patients routinely die are unable and/or unwilling to show compassion and vulnerability through open dialogue about death with patients and their families. It was my experience that Bill and I were expected to share our fears and grief only with each other, as if there was a black box the doctors would not open. Perhaps you can explain to me why this is so.